Want something different for your wedding reception? Are you getting stressed out looking for entertainment all your guests can enjoy? 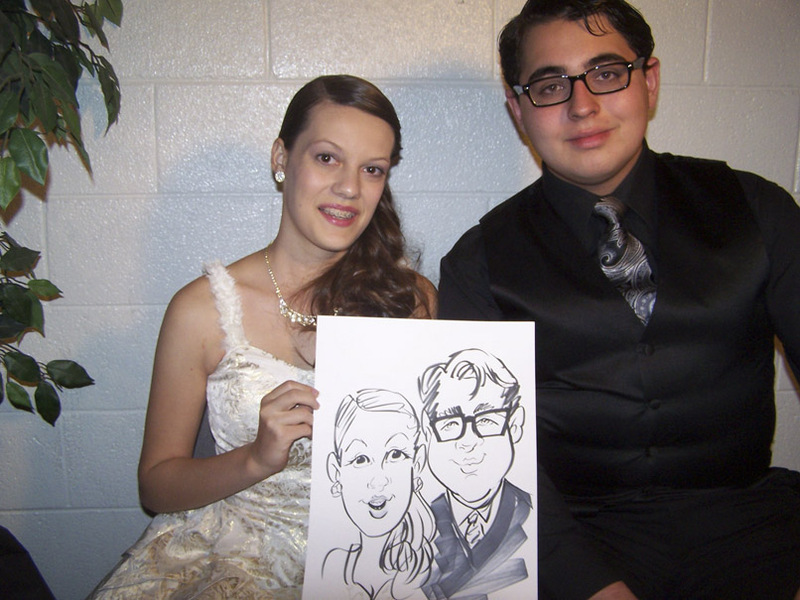 At my weddings guests stay longer, enjoy themselves more, and can’t wait to take their drawing favors home. 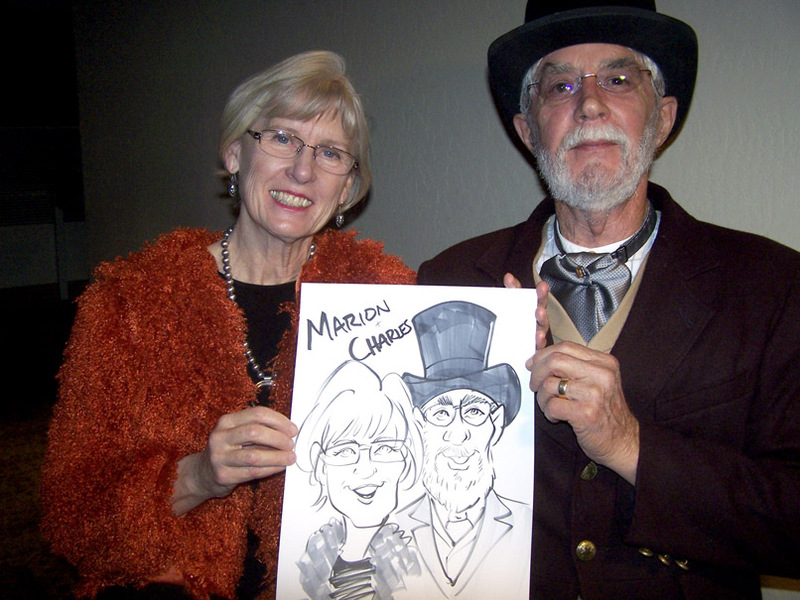 Within five years of leaving Marvel Comics (Spider-Man) I am the most sought after wedding caricature artist in Arizona. As a comic and pinup artist, I rejuvenate your face. I lift what sags, take away wrinkles, and excess pounds and make you look like a movie star. 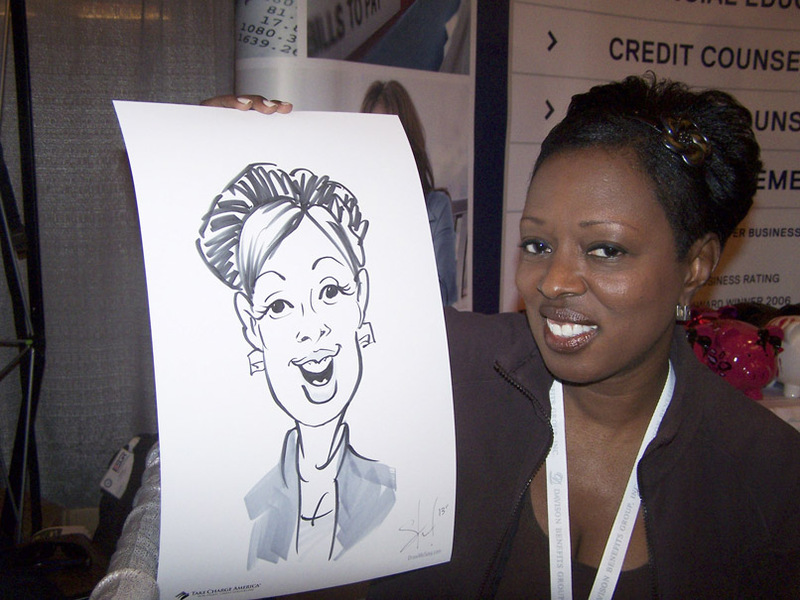 If caricature isn't the most fun part of your reception and if I don't make you look fabulous I will refund your money and donate $100 to your favorite charity. I draw approximately 15-20 faces per hour. After working nearly a decade for Marvel Comics (Spider-man, X-men), my philosophy is everyone should look fantastic as a cartoon! My work has been seen on The Today Show, FOX 10, and ABC 15. All of our tools are archival quality. My artistic influences are Dean Yeagle, Pete Emslie, and Mort Drucker. Recent review: It was so much fun! Guests loved this at my wedding!